MASERU – Sadc was this week sucked into the fierce fight for control of the All Basotho Convention (ABC) after it met embattled disputed Deputy-Leader Prof. Nqosa Mahao over the crisis to the chagrin of his rivals. 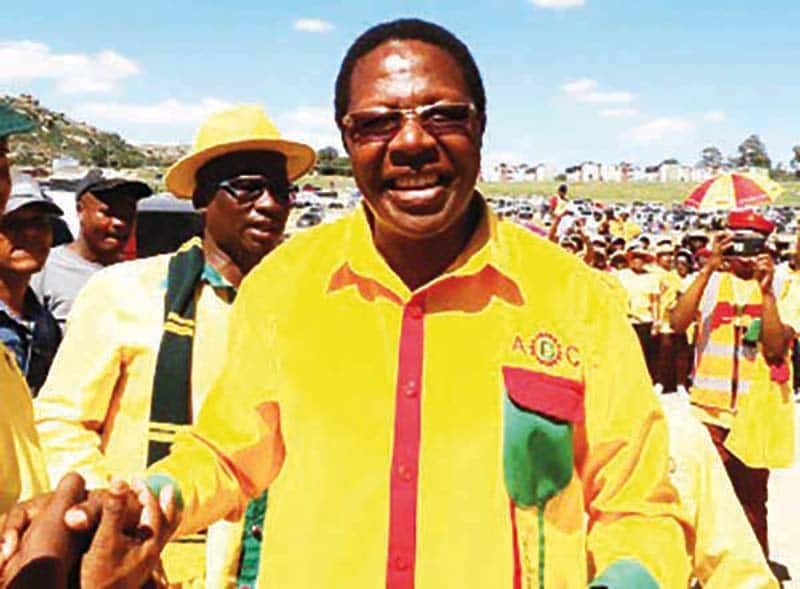 Both Mahao and the opposing faction, now fronted by outgoing ABC Secretary-General Samonyane Ntsekele, confirmed meeting the Sadc Oversight Committee (SOC) on separate occasions. A bristling Ntsekele yesterday blasted the SOC for entertaining Mahao, adding it had overreached its mandate by delving into internal party politics. Public Eye can report Mahao told the SOC the ruling party’s old national executive committee (NEC) had barred his new committee from assuming administrative power. This, he counselled the SOC, could plunge Lesotho into a state of anarchy reminiscent of the period ahead of the 2017 elections. The National University of Lesotho (NUL) Vice-Chancellor yesterday confirmed meeting with the SOC on Tuesday this week to appraise the body on the situation in Lesotho as he had done on many previous occasions. He said he had warned the committee that if the situation in the ABC persisted, it could affect the country’s stability and derail reforms which include constitutional and security reforms. On Tuesday evening, Ntsekele met the SOC at Avani Lesotho, and was informed that Mahao had lodged a complaint with the body against the outgoing ABC NEC. Ntsekele met the SOC alongside outgoing ABC Chairperson Motlohi Maliehe and former ABC Secretary-General Futho Hoohlo. Ntsekele said the SOC told them that Mahao was seeking Sadc intervention to end the power impasse afflicting the ABC. “We were having a meeting preparing for the talks that the old and new ABC committees are supposed to engage in as per an order of the court, when I received a call from Foreign Affairs Minister Lesego Makgothi, who told me that that the Sadc Oversight Committee needed to see me urgently,” Ntsekele said. The SOC, which comes to Lesotho periodically since the Sadc Preventive Mission in Lesotho (SAPMIL) disbanded in November 2018, acts as an early warning mechanism for the regional body. Its primary mandate is to identify signs of impending crises relating to Lesotho’s political and security situation. The SOC reports to the Chairperson of the Organ on Politics, Defence and Security Cooperation (OPDSC) in consultation with the SADC Facilitator to Lesotho, South African President Cyril Ramaphosa. Ntsekele further told this paper that the Oversight Committee informed him and his team that Mahao had come to them holding the ABC elective conference voter’s roll “to show that the elections had gone smoothly”. “They told us that he had shown them the voter’s roll adding that the election process had gone smoothly and that it was free and fair,” Ntsekele said. However, Ntsekele said they informed the SOC they should immediately withdraw from the matter altogether “because it is an internal political party matter”. “We told them that it would be prudent for them to withdraw altogether from ABC’s internal politics business. We told them that the ongoing ABC feud had absolutely nothing to do with them. Acording to Ntsekele, the Oversight Committee acknowledged their stance. The outgoing ABC SG added that Mahao’s engagement with SADC behind their backs amidst ongoing mediation, had created the impression that the Mahao faction was just “pulling wool over our eyes when they said they wanted talks”. “It is an implication that the talks were just a joke. They just wanted us to relax. They just wanted to slow us down so that when we were relaxed, they would then drop this bombshell on us. This effectively says there’s no mediation. There are no talks,” Ntsekele said. However, Mahao said he did not initiate contact with Sadc but that he been summoned when he was in Zambia to appraise them on the situation in Lesotho, the mediation between the two warring factions of the ruling and provide an update on the court case. “Immediately upon my return from Zambia, I went to meet with the Oversight Committee. It must have been on Tuesday this week. I informed them that the situation in the ABC played a major role in the instability in Lesotho. They also wanted me to brief them on the mediation and court case,” Mahao said. Mahao further confirmed that he went into his meeting with the Oversight Committee, armed with all necessary information pertaining to the disputed elections adding “I went into details and furnished them with numbers”. “Yes, I had the voter’s roll with me. I wanted to show them that the people who were disputing the election outcome and complaining about the bloated numbers, were wrong because as opposed to the 1537 they claim was the number of delegates expected, the actual number on the voter’s roll was over 1730,” Mahao said. The disputed ABC deputy leader further told this paper that he expressed his concerns to the Oversight Committee that Lesotho seemed to have regressed to where it was before the 2017 elections. “I told them that we are in a state of uncertainty, unpredictability and instability and that it was the responsibility of Sadc and the Oversight Committee to intervene. It is the region’s responsibility to ensure that things are in order because if they don’t, it will undermine our efforts and compromise the purpose for which they are in Lesotho, of restoring stability,” Mahao said. Mahao said he used the instability that had rocked the former ruling and now main opposition Democratic Congress (DC) party, which had led the collapse of its government collapse, to illustrate his point. This came after that party’s deputy leader Monyane Moleleki broke away and formed the Alliance of Democrats (AD), noting that instability in ruling parties could invariably result in government collapsing. “Secondly, I told the Oversight Committee that what is happening in the ABC will have a direct impact on reforms, which should have been completed by May, 2019. Yet we haven’t even started and that on its own is of direct interest to the Oversight Committee and to Sadc,” Mahao said. Meanwhile, another member of the outgoing NEC who sought anonymity as he was not authorised to speak to the media, told this paper yesterday that Mahao had chosen to overlook court processes and run to Sadc because “he feels he is more important than any of us”. The ABC official accused Mahao of disrespecting the High Court adding that the NUL Vice-Chancellor could not wait for the case to go before Court of Appeal President Dr Kanannelo Mosito “because he believes in Mosito over everybody else”. The Court of Appeal invalidated a High Court decision affirming the ABC NEC’s decision to bar Mahao from contesting elections for the position of deputy leader and his native Koro-Koro constituency from participating in the elective conference. Mosito ruled that Mahao and the Koro-Koro constituency committee should take part in the election, further ousting a clause in the ABC constitution which forbade members from suing the party or risk automatic expulsion. Since then, speculation has been rife the Court of Appeal President supports the Mahao faction and that, as a result, Thabane and company were concocting a plan to expel Mosito from the apex court. Ironically, it was Thabane who fought valiantly to ensure Mosito became the apex court president, overcoming an impeachment threat by former Prime Minister Pakalitha Mosisili and attempts by five senior lawyers to block Mosito’s appointment on grounds that he was not suitable for the post, citing among others a case of tax evasion. “According to Mahao, the only credible court in Lesotho is Mosito’s court. What we need to do now is ensure that we remove Mosito from that post because he has played a central role to the conflict within the ABC,” the ABC official said.